The Boeing Co. (Seattle, WA, US) and carbon fiber recycling specialist ELG Carbon Fibre Ltd. (Coseley, UK) announced on Dec. 5 that they have signed a five-year agreement whereby Boeing will supply to ELG cured and uncured carbon fiber composites that will be converted by ELG into secondary products for use in other composites manufacturing applications. 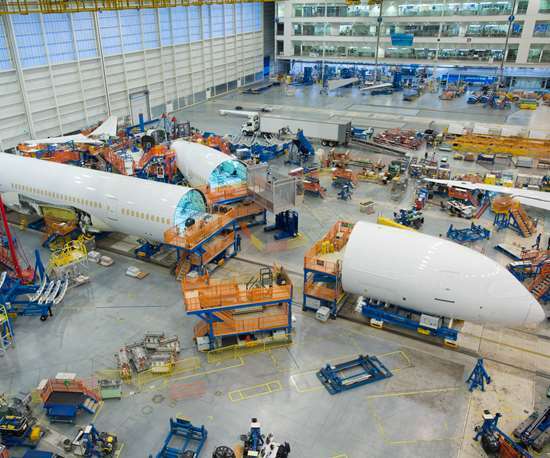 The cured and uncured carbon fiber waste will come from 11 Boeing composites manufacturing operations, including the 777X Composites Wing Center in Everett, WA, Boeing South Carolina in Charleston, SC, US, and eight other Boeing US sites involved in manufacturing commercial airplanes, rotorcraft and other products. The agreement also includes carbon fiber composites waste from Boeing’s composites fabrication operations in Melbourne, Australia. Boeing says it provided about 380,000 pounds of waste material during the 18-month pilot project, begun in March 2017. Under the new agreement, the company anticipates the initial volume will be about 1 million lb a year from its Puget Sound sites. That amount is expected to double over the next five years as excess material is collected from all of Boeing’s composite manufacturing sites. This will support Boeing’s goal to reduce the amount of solid waste going to landfills 20 percent by 2025. 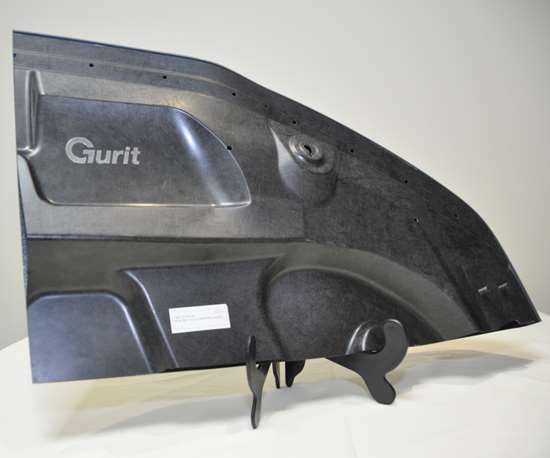 ELG, he says, expects to integrate the Boeing waste into carbon fiber nonwoven products ELG manufactures, as well as chopped carbon fiber for use in thermoplastics compounding, both under the CARBISO trade name. ELG’s Barnes says that in the initial phase of the five-year contract, ELG will transport waste from Boeing facilities to ELG’s UK plant via ship. “This is quite economical, actually,” Barnes says, but adds that “this contract with Boeing is another step forward in closing the business case for an ELG recycling facility in the US.” Indeed, Barnes notes that energy prices in the UK are about four times high than those in the US Pacific Northwest, thus the lower cost of operating in the US is attractive to ELG. Bartelson says that although Boeing would not characterize the quantity of carbon fiber waste the company expects to deliver to ELG (Barnes calls it “a lot of material”), he does report that the ratio of cured to uncured material is currently about 1:1. However, he reports, Boeing is increasing efforts to re-use uncured carbon fiber waste in-house via tow respooling and other methods. As a result, he says, Boeing expects, eventually, to reduce the amount of uncured carbon fiber it sends to ELG for recycling. As a result of the partnership with Boeing, ELG estimates the number of its employees will nearly triple from 39 in 2016 to an expected 112 by the end of 2019 as the recycling market continues to expand. ELG employs 73 people today. Boeing and ELG, a subsidiary of global metals recycling leader ELG Haniel Group, are considering expanding their partnership to include excess composite material from Boeing manufacturing sites in Canada, China and Malaysia.